Archial, one of the country’s largest architectural practices and a member of the global Ingenium Group of companies, has won a prestigious Civic Trust Award for its design for the £10.5 million pioneering Small Animal Hospital for the Faculty of Veterinary Medicine, University of Glasgow. The building has previously won a RIBA Regional Award, the Supreme Award from the Glasgow Institute of Architects, the RIAS Andrew Doolan Best Building in Scotland Award, Gold at the 2010 Roses Design Awards and was highly commended at the 2010 Galvanizing Awards. Located at the entrance to the grounds of the Garscube Estate, Glasgow, the Small Animal Hospital provides state of the art services for animal owners and practitioners throughout Scotland and Northern England, including the most advanced diagnostic, therapeutic and surgical techniques. 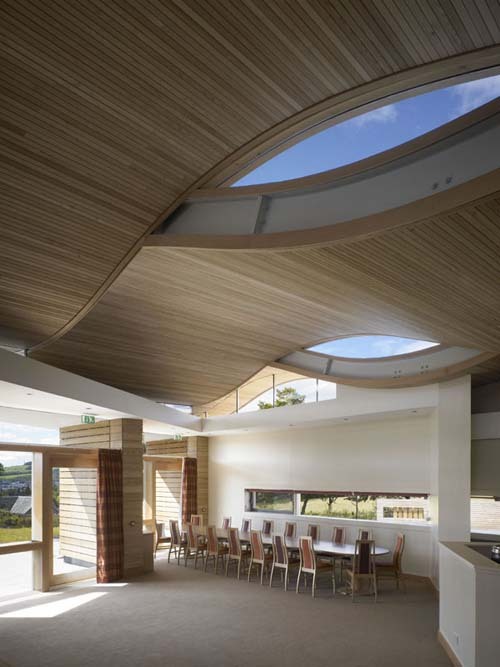 Russell Baxter of Archial Architects said, “We’re delighted with this latest recognition for the Small Animal Hospital. 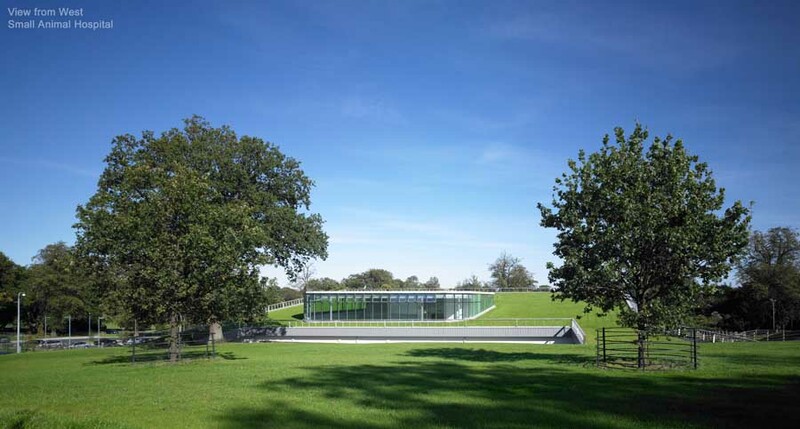 One of our chief concerns when conceiving the design for this facility was how to create a large hospital building without ruining the beautiful green space for which the Garscube Estate is renowned. Essentially, our solution involved lifting up the ground, peeling off the grass and placing the new building underneath. John Swinney MSP, Cabinet Secretary for Finance and Sustainable Growth, has officially opened the award-winning £10.5 million Small Animal Hospital for the Faculty of Veterinary Medicine, University of Glasgow designed by Archial Architects. Situated at the entrance to the grounds of the Garscube Estate, the Small Animal Hospital provides state of the art services for animal owners and referring practitioners throughout Scotland and Northern England, including the most advanced diagnostic, therapeutic and surgical techniques. Archial’s striking design for the £10.5 million pioneering Small Animal Hospital has already won a string of awards, including the prestigious RIAS Andrew Doolan Best Building in Scotland Award, a RIBA Regional Award and the Supreme Award from the Glasgow Institute of Architects. 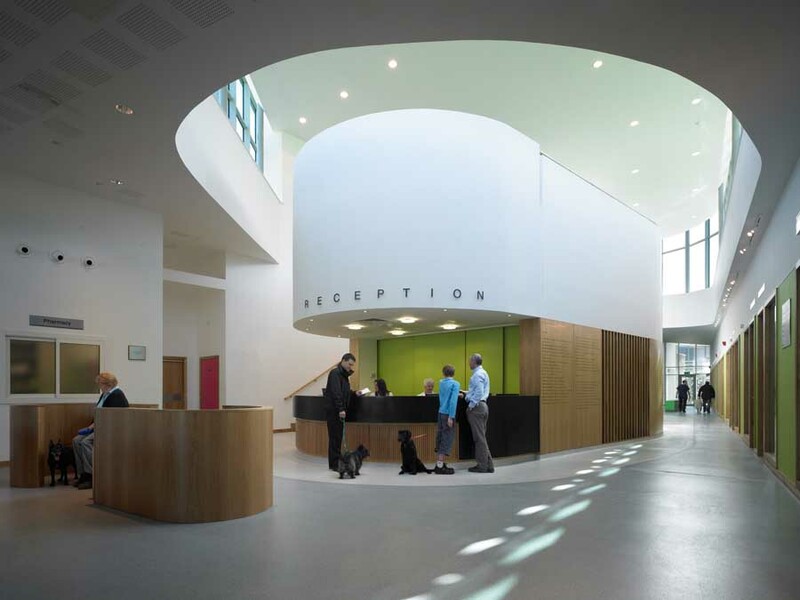 The primary design principle for the Small Animal Hospital facility was to create a large hospital building without ruining the beautiful green space for which the Garscube Estate is justly renowned. 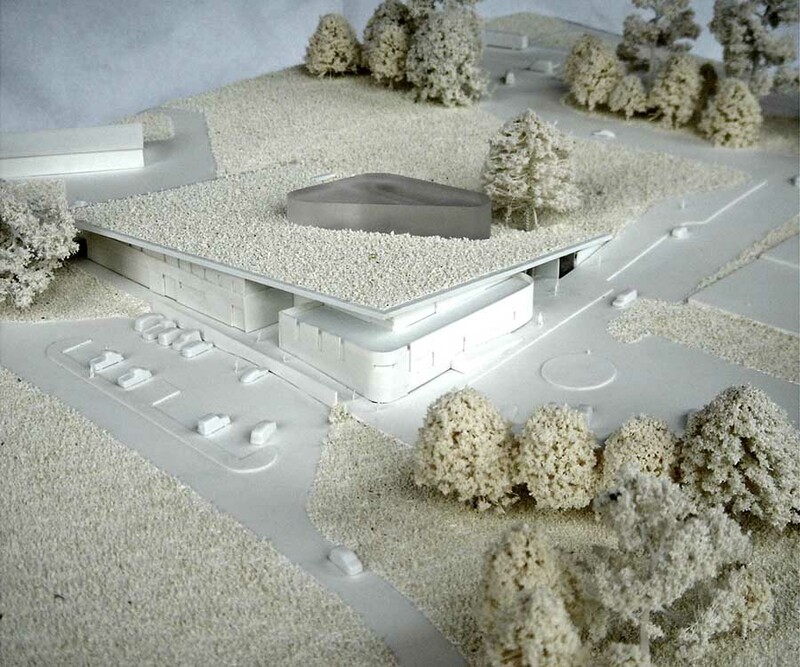 Essentially, the solution was to use the topography of the site and to insert the building within it. Archial Architects has confirmed that it is to donate £2,500 from the Andrew Doolan Prize fund to the Small Animal Hospital. Archial Architects’ striking design for the new £10.5 million pioneering world-class centre for veterinary medicine has picked up the Supreme Award from the Glasgow Institute of Architects. It has also been short-listed for the prestigious RIAS Andrew Doolan Best Building in Scotland Award, which will be announced in the Scottish Parliament building tonight (20th November). Part of the University of Glasgow’s Faculty of Veterinary Medicine, the new Small Animal Hospital, situated at the entrance to the grounds of the Garscube Estate, provides state of the art services for animal owners and referring practitioners throughout Scotland and Northern England, including the most advanced diagnostic, therapeutic and surgical techniques. 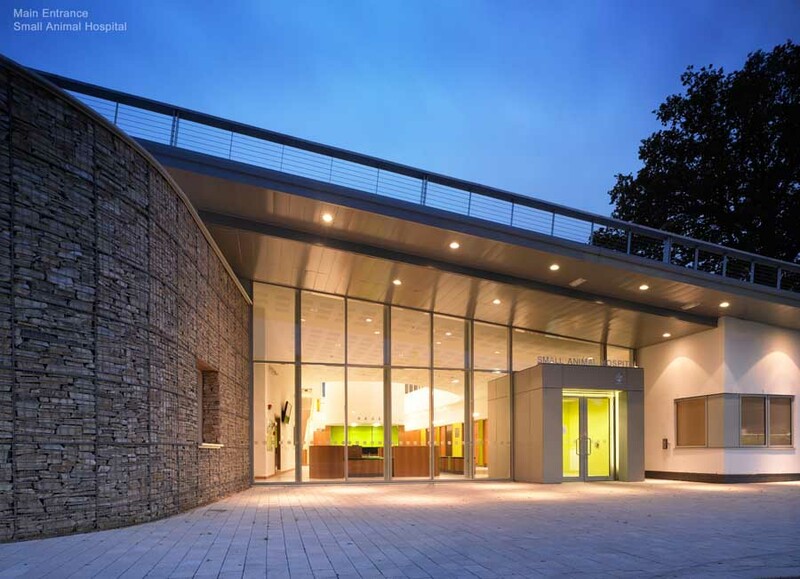 Russell Baxter of Archial Architects said, “One of our chief concerns when conceiving the design for this facility was how to create a large hospital building without ruining the beautiful green space for which the Garscube Estate is renowned. Essentially, our solution involved lifting up the ground, peeling off the grass and placing the new building underneath. Whilst the innovative design affords medical staff unrestricted views out over the grassy bank, the building’s public space comprises a waiting area, reception island and café beneath the glass cupola where staff and visitors can see out onto the roof. Behind this public space is a social space with access out onto the grass roof, which anyone can walk across. The natural look of the new Small Animal Hospital is completed with a stone-filled gabion baskets, lending the building a deliberately solid and heavy base, emphasising the driving idea of roof and ground. Located at the entrance to the grounds of Garscube Estate, the new Small Animal Hospital, part of the University of Glasgow.s Faculty of Veterinary Medicine, provides state of the art services for animal owners and referring practitioners. 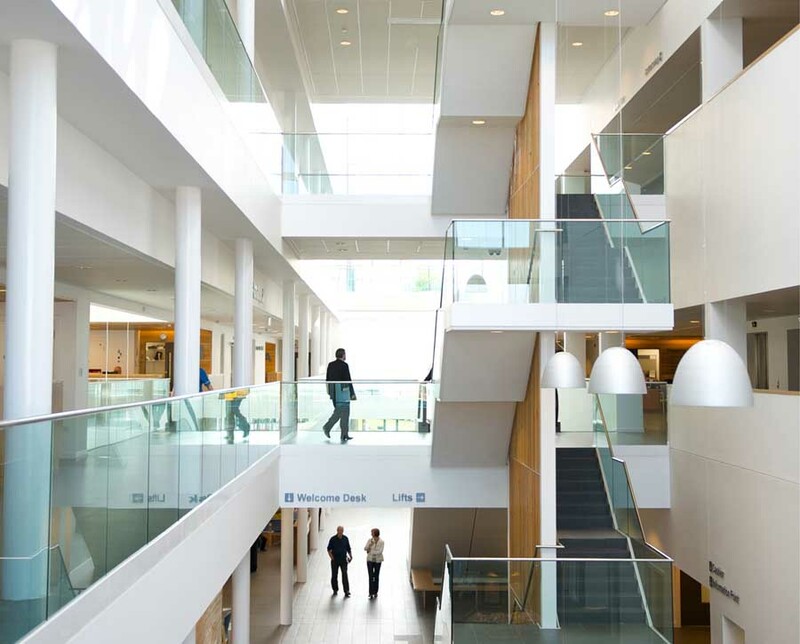 Internally the building is simply organised both horizontally and vertically with a clear division of public and private hospital space. 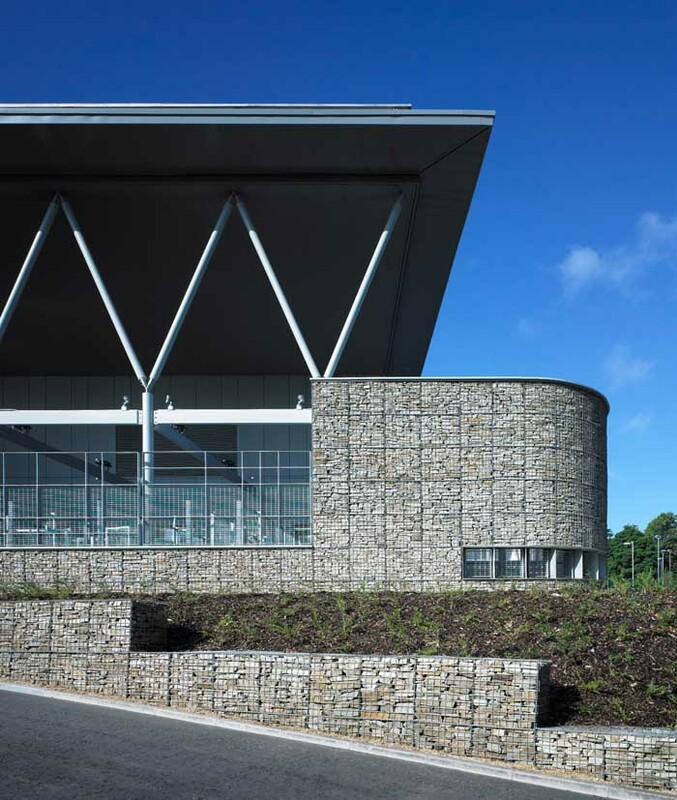 The working hospital held within the gabion wall pinwheels around a central treatment hub which acts as the heart of the building offering clear and unrestricted views toward day-care, intensive care, operation suites, diagnostics and oncology. The teaching and office spaces occupy the upper level with views over the estate and access onto the grass roof. Archial Architects has gone underground with a striking design for a new £10.5 million pioneering world-class centre for veterinary medicine situated at the entrance to the grounds of the Garscube Estate, Glasgow. Part of the University of Glasgow’s Faculty of Veterinary Medicine, the new Small Animal Hospital provides state of the art services for animal owners and referring practitioners throughout Scotland and Northern England, including the most advanced diagnostic, therapeutic and surgical techniques.